Plano High School math whiz David Yue recently won a national science fair honor for his project that could reduce dangerous radiation from medical CT scans. The high school freshman was in junior high when he dreamed up the project. .
Often, the best science fair projects aren’t lifted from published ideas kids can copy. They’re original - personal. That’s David Yue’s case, for his award winning math project. It was meal time at his home in Plano a few years back. Mom, dad, and his older brother were all eating at the dinner table when an annual topic crept in - mom’s mammogram. She doesn’t like them, fearing radiation from the x-ray. “So I, every year I skip one year. 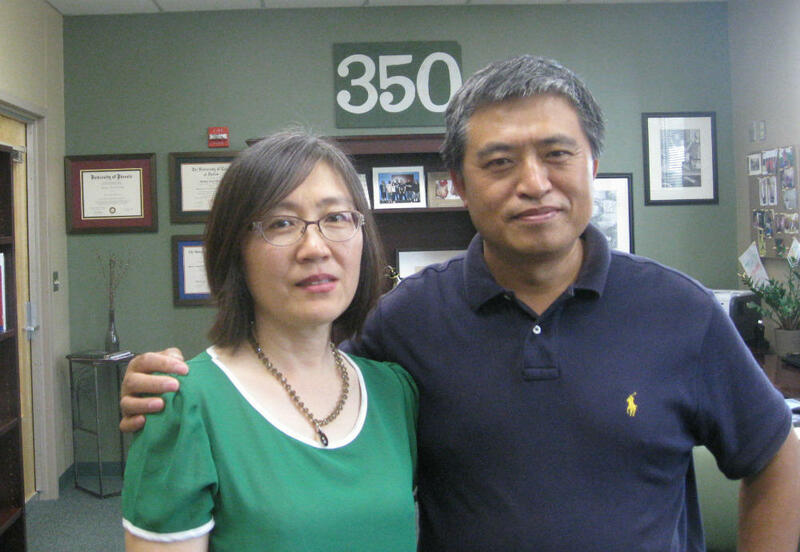 I like every other year,” says Lucie Chen, David’s mom. His father Joe chimes in. “CT scans are used every day by doctors to locate different types of tumors and cancers inside the body,” David explains. He’s standing in front of the display California judges saw earlier this month when David was among 30 national finalists at the Broadcom Master Science Fair in Silicon Valley. Here’s what he told the judges. “It’s kind of a problem because CT scans take thousands of x-rays around the body and each x-ray has a little bit of radiation that adds up,” David said. 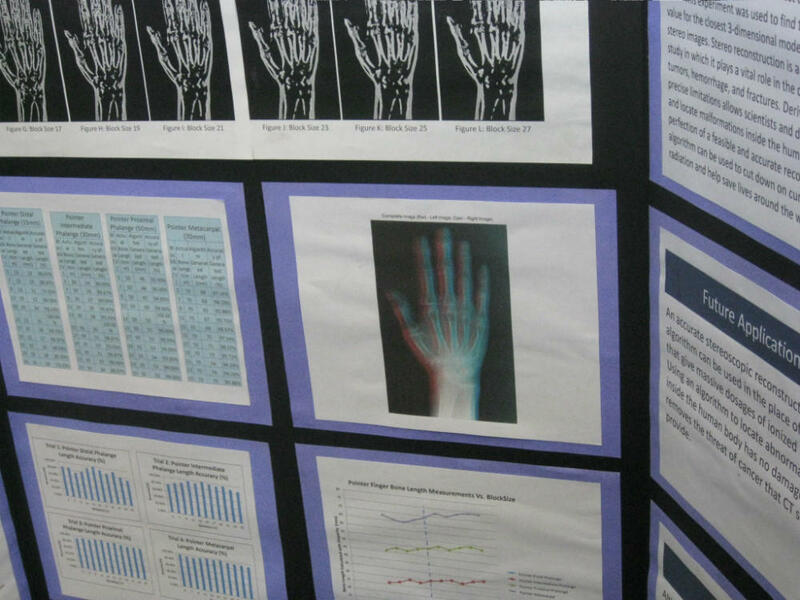 Close up of David's science fair panel illustrating x-rays and versions of 3D imaging. David’s algorithm took the top math honor. He’d pondered several different ways to create 3D images. Inspiration came from the old style stereoscope, favorite 3D Hollywood films, and Plano ISD’s Karen Shepherd. She’s nurtured the district’s science and technology programs in her 32 years here, and helped build science fair winners based on cooperative, not cut-throat, teamwork. To back that up, David and four other competitors, kids he didn’t know from other cities around the country, also won a team honor in California for working together to solve challenges from the judges. So what’s next? David will enter Science Fair again. He’s he says he’s refined his algorithm so it nearly fully duplicates CT scan results. Now, the 14 year-old needs input from doctors.